Replacement batteries required for all of the wax battery operated tea light candles that are sold on our site and store. Each tea light requires 2 of these batteries for operation. 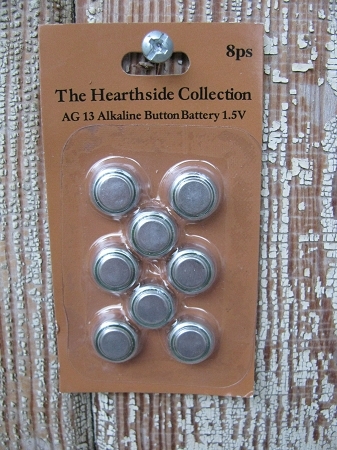 They are 1.5 V AG13 Alkaline Button Batteries. Come in packs of 8.